The journey of 100 miles begins with a single step, but more specifically it begins this Friday at 4pm! After nearly half a year, it all comes down to this. The course limit is 30 hours so obviously that is my goal, but really my bottom line goal is just to get out there and do everything in my power to reach that 100, no matter how long it takes. There are certain things in life that you just know are going to hurt you, change you, and promote growth in you. Running 100 miles for the first time ever is one of those things. It’s going to be hard – really, really, really hard but it certainly won’t be the hardest thing I’ve ever done. I have this small polished silver stone that has the word believe deeply etched on it. If you run your hand across it, you can feel the outlines and grooves of the word itself. I’ve clutched that stone numerous times in my life. I’ve turned that stone over and over in my hand as I watched my little boy being wheeled away from me in a hospital bed not knowing if they’d ever wheel him back to me. I’ve felt the weight of that stone in my pocket as I fought back tears and pinned down my scared, wild-eyed and thrashing 2 year old son to put in yet another IV. 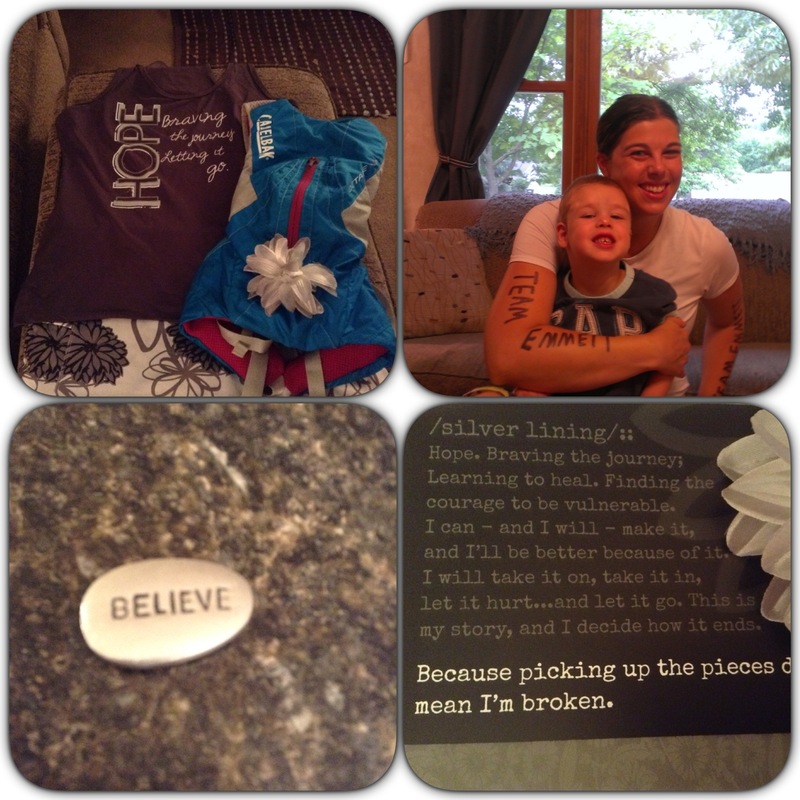 The stone was on the counter the day I held my son’s MRI in my trembling hands. That one thought from the rock “believe” was on my mind time after time while I watched my son unconscious and seizing wildly on the floor in front of me. Believe that he will be ok somehow or someday and if he’s not, believe that I will be ok with that somehow or someday. That’s all we can do is believe. So what on earth does any of that have to do with running 100 miles? Nothing really. And kind of everything. For me, the two are linked. They are undeniably, inextricably tied together, running and my son’s life. Running is not only the way I heal myself but somehow the way I heal my son. I absorb the power in these miles. It transforms me and helps me project that hope onto him. 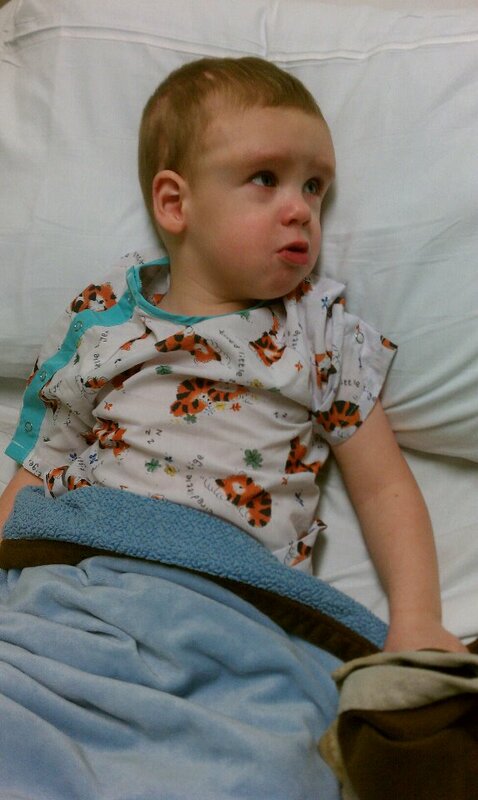 And as we are facing another skull surgery for our son this month, I need that power and I need that healing. 100 miles is so much more than just another race, it’s our life. It symbolizes the long, treacherous road we’ve been on with the most desperate of lows and the most joyous of highs. Just like the race, we don’t know what’s going to happen, how it’s going to play out, or how much suffering there will be – we only know to keep going, forging ahead to that finish line, and believe that it will all be ok, somehow or someday. September is Craniofacial Awareness Month. Just one of my son’s major health issues is that he was born with a birth defect of the skull called Craniosynostosis, but no one knew. He went undiagnosed the entire first year of his life. 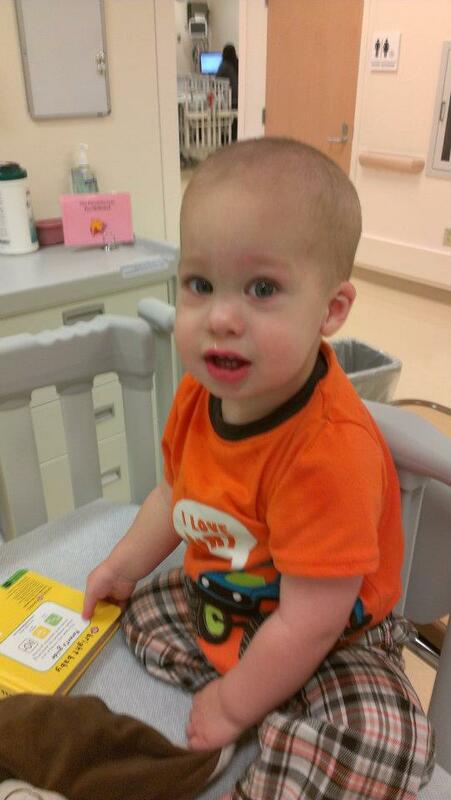 His official diagnosis came from his surgeons at 14 months old. 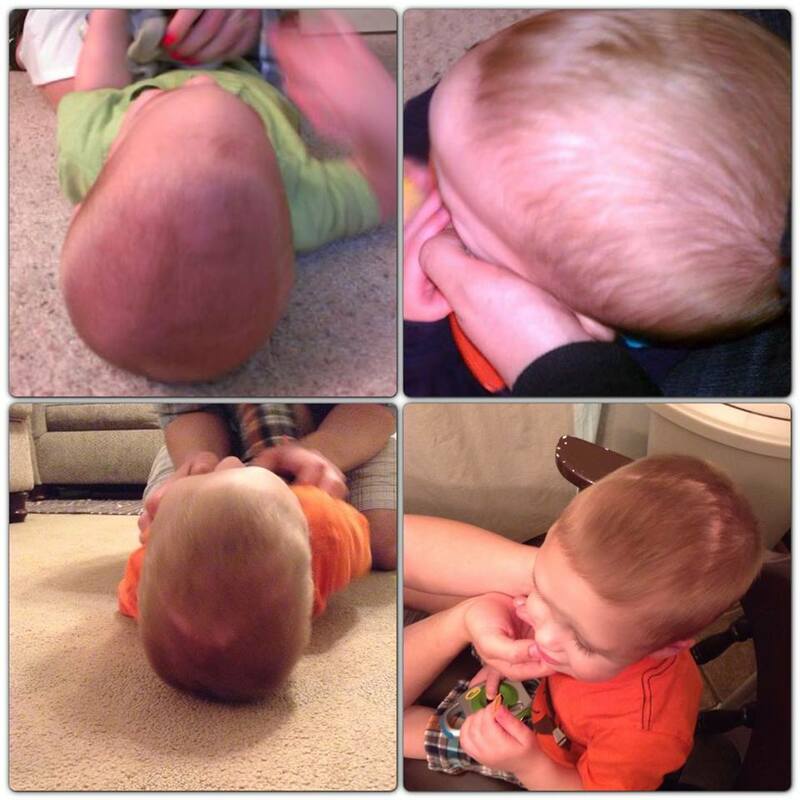 Craniosynostosis inhibits brain growth and can cause intracranial pressure, seizures, eye problems, developmental delays, and more if left uncorrected. Symptoms to look for include an unusual shaped head, a hard, raised ridge along the affected suture, and a soft spot that closed too early. If this could be your child or a child of someone you know, I encourage you to speak to your Doctor. Knowledge is power and we need more power! And with that short public service announcement, I leave you. Look forward to one wicked race report coming soon! Categories: Hope, Medical drama, Ultra running | Tags: dream big | Permalink. They call it hitting the wall. It’s that terrible point in a race/run where complete and utter exhaustion overwhelms you, your legs become anchors threatening to drag you to a standstill, and every bone in your body screams at you to give up and collapse on the ground right this minute. In March of 2012, I sprinted head first into the wall so hard it dropped me to my knees and I didn’t know if I would ever get back up again. 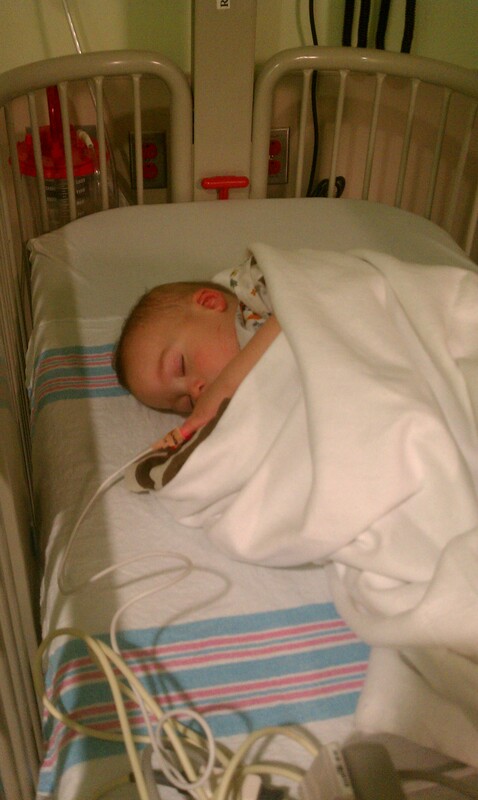 One cold March morning, I found my (previously healthy) 1 year old son Emmett, unconscious and seizing wildly in his crib. This one seizure would change the entire course of our lives. Suddenly our life was full of hospitals, scans, tests, medications, therapies and a slew of Doctors trying to figure out what was wrong. 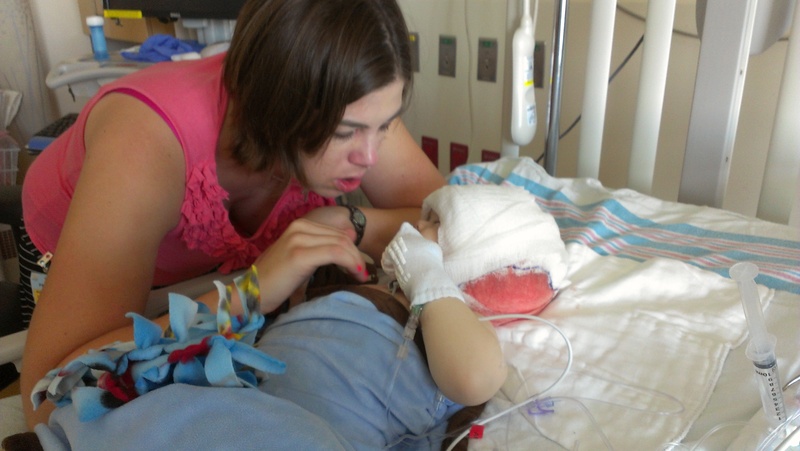 Watching my son suffer turned me into a different person. It cast me into a deep, dark despair that I had never known before. It made me question everything I had ever believed in and everything I thought I knew about myself. It broke me, over and over, relentlessly until I was a hollow shell of a person, a mere shadow of who I used to be. For the first time in almost 9 years, my heart wasn’t in it at all. I didn’t want to run anymore. However, I continued out of pure obligation because I was going to be pacing for the Fifth Third River Bank Run for the first time that year. I forced myself out the door day after day regardless of how little I had slept, how long I had been at the hospital, or how heavy my legs and heart were. I didn’t enjoy a single step of it and I felt like a traitor to the sport I had once lived and breathed with such true passion and joy. As I continued to run, I felt the life slowly surging back into me. It came up from the road itself, seeping into my shoes, until it was radiating throughout my entire body. Running gave me back the will to fight. I was running to feel strong, brave, and whole. 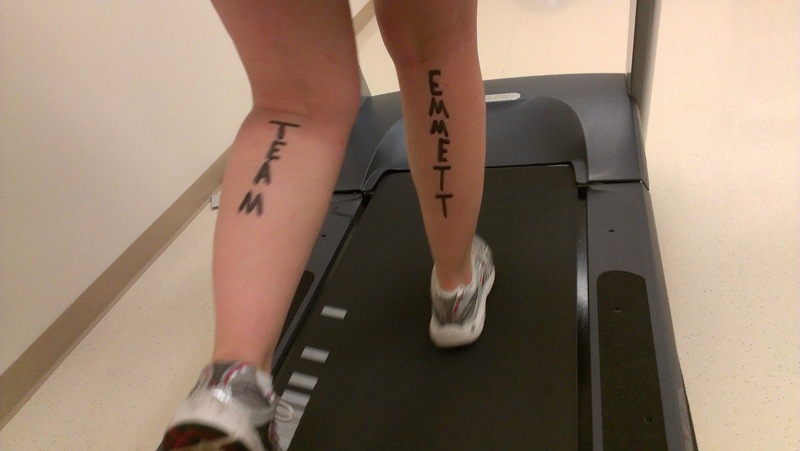 I was running for my son Emmett and to give validation to his life, his struggle, and his suffering. I was running because I loved it once again and I couldn’t get enough. Running has given me something to cling to on some of the worst days of my life. 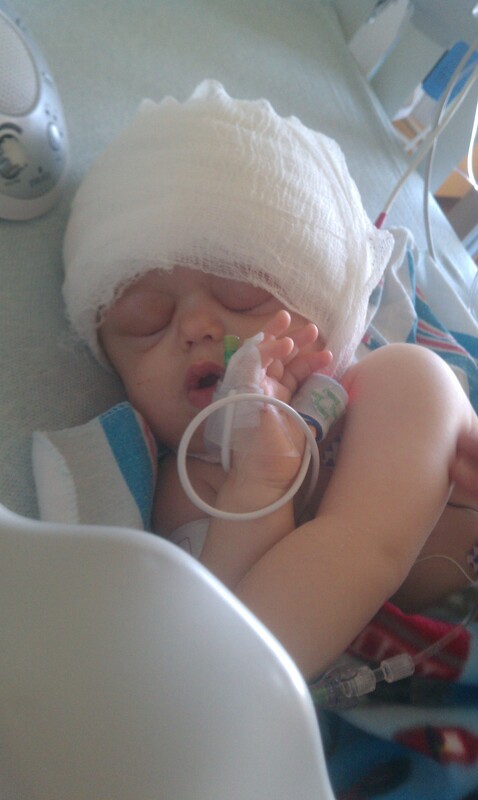 On the day of Emmett’s first surgery, I ran on a treadmill in the hospital for the entirety of his surgery (7 hours and 26 minutes) while he had his entire skull broken apart and put back together correctly due to a birth defect called Craniosynostosis. 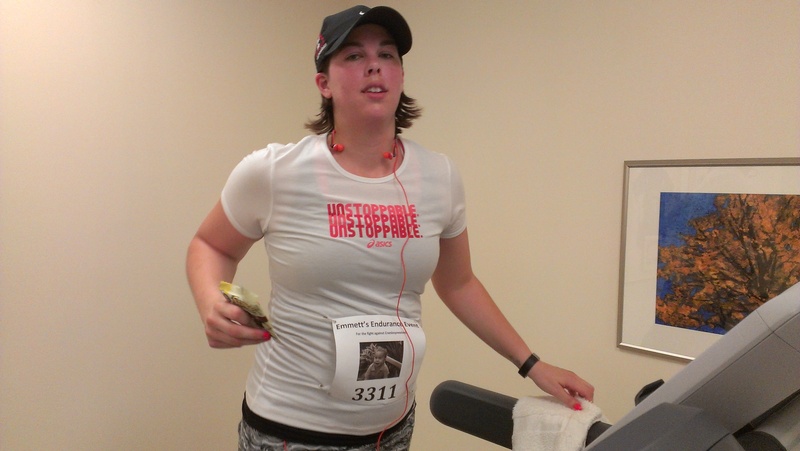 I stepped off that treadmill with delirious pride and hope that overpowered the fear. 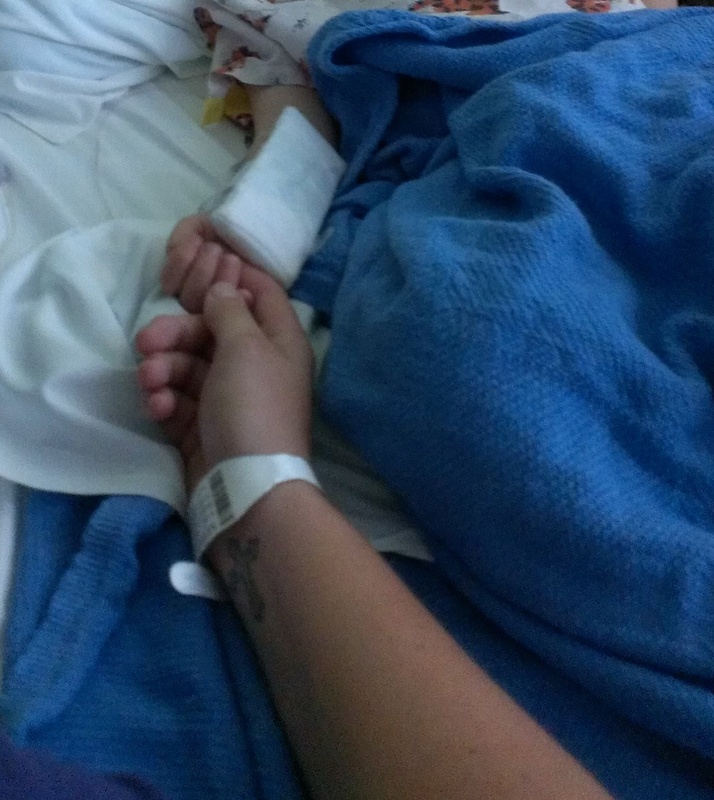 On the day of the worst diagnosis to date, the news about his brain, I took off running for hours until I had to come walking home, exhausted, sore, and hungry but still not defeated. I truly believe that running heals; it is cathartic, empowering, and real. Whatever you are trying to overcome, whatever you think you can’t do – you can. The answer lies with in you and your refusal to give up. 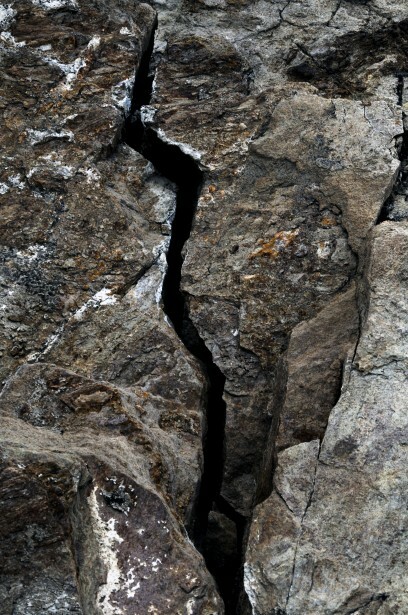 You have the power to keep getting back up and keep charging that wall head on until you are through. Keep running, keep pushing back, and I will see you on the other side of the wall. Categories: At a loss, Medical drama, Running | Tags: road warrior | Permalink. Oh treadmill, you get a bad rap. People hate you. And they don’t just hate you; they hate even the thought of you. They don’t even know you and they wrinkle up their nose in disgust. They call you names like dreadmill or hamster wheel. They seem to be offended at your mere existence, that anyone would ever *gasp* consider running on something like a treadmill. I remember a time that I was like them: the haters. I wouldn’t go near a treadmill unless there was some sort of freak lightening storm going on outside. Better to be outside and run free than cooped up inside going nowhere. It didn’t matter the conditions, I was always, always, always going to go outside. But our relationship blossomed out of a mutual need to run and maintain my sanity while being tethered to a single room. It all started with a pregnancy. I know it wasn’t a great first impression. I was carrying a heavy load of baby, wearing a pair of non-maternity capris that were stretched to near capacity, with a cookie in each hand dropping crumbs all over your new, shiny treadmill belt. I wanted to keep running outside, but my husband began to fear my water would break 4 miles away from the house and there’d be no one around to help me. I agreed to run on the treadmill whenever my husband couldn’t run with me outside. I hated it at first, but then I had to admit, it was kind of nice. It was convenient to be only 12 steps away from the bathroom at all times. No one openly stared or disapproved of me while I was on the treadmill. No one asked me if I needed help (as if that would be the only reason a pregnant woman would be running down the road) and there was a limitless supply of cold water and snacks at the tops of the stairs. Then my first baby boy came and I relied on you even more. I ran for a few minutes at a time in between flying up and down the stairs to check on a crying baby at nap time. Up and down the steps I’d go with the baby monitor bouncing on my hip. I’d run up the stairs, feed him, lay him down, run back down the stairs, and jump on the treadmill. The screeching cries would start again almost immediately. I’d run back up the stairs, change him or rock him, lay him down, run back down the stairs and jump back on the treadmill, and so would go those workouts as a new mom: my run interrupted 10 times in 10 minutes. Sometimes I’d give up on running completely and just strap my baby boy to the carrier on my chest. We’d walk slowly on the treadmill together, the familiar movement and hum of the treadmill belt lulling him to sleep. Some of my fondest memories are on a treadmill with a sleeping baby on my chest – the exhaustive daze of newborn parenthood overridden by my overwhelming love and awe at this little person I had made. Looking back, it still wasn’t a real good representation of myself even then, but I still felt like a rock star on that treadmill. I was still sporting my maternity yoga pants (that sadly fit much longer after I wished they wouldn’t), my hair hadn’t been brushed in 3 days, and there was baby spit up down the front of my shirt that I’d already changed twice. But I was free to run, even cooped up in the basement and while I was technically not going anywhere, I was surely moving. When another baby came and I began juggling kids, work, and running – I relied on your steady availability even more at all sorts of crazy hours of the day. Now brace yourself, here is where it gets a little sappy. Sure the treadmill had been convenient before, but I didn’t love it by any means. 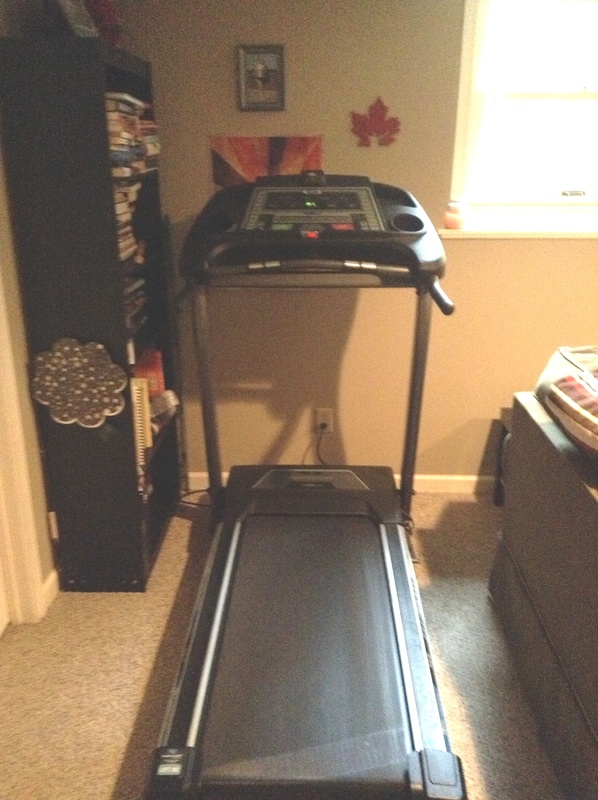 The first time I ever felt the true depth of my appreciation and near love for a treadmill was on June 20, 2012. It didn’t matter that the conditions outside were perfect, I wasn’t going further than 5 feet away from this building, not even if my life depended on it. I was standing in a tiny windowless room, 3 hours away from home, on the 10th floor of a children’s hospital, teeth gritted, and tears streaming down my face. I wanted to run away. I wanted to throw things and smash them up against the walls. I wanted to scream at the top of my lungs until it all went away. I was filled with so much raw, nervous energy that my hands shook as I reached to press the big green start button. And there it was as the treadmill belt began to move – I was free. Even cooped up in that room going nowhere, there was life and hope and freedom. I could run. I could feel my body pull itself together to weather this storm, to absorb the shock, and carry on somehow. I cried tears of relief that I had something so simple and so amazing to cling to. For exactly 7 hours and 26 minutes, I ran and I was free even while chained to that treadmill until the call came that my son Emmett had made it out of surgery. He was ok. He was alive. He was in recovery. I could see him. I stepped off that treadmill full of gratitude and hope. The treadmill kept me grounded and kept me going when I thought it was impossible. So the moral of the story? I don’t know. Be nice to a treadmill today because you never know when you’ll need one tomorrow. Or something like that. Categories: Medical drama, Running | Tags: long treadmill run, road warrior | Permalink. If you are anything like me, when your loved one is facing a surgery, more testing, a procedure, or an unexpected stay in the hospital, the last thing on your mind is what sort of stuff to bring along. If you find yourself in that situation often, I recommend keeping a bag packed for the hospital. It’s just like a pregnant woman having a bag packed and ready to go at a moment’s notice for when the baby comes. Having a bag packed can make you feel more prepared when facing the unknown and less panicked about grabbing everything you can as quick as you can when something goes wrong. What do you bring to the hospital? That depends on a lot of things, like how long you are staying, if it’s an adult or child that is hospitalized, what sort of facilities you have access to, and how long you intend to stay. I’ll start with a few things that are generally helpful to have in most situations. * Bring flip-flops or slip on shoes. The hospital floor is not a place you want your feet to intimately know. Taking off and putting back on regular shoes or tying and untying laces over and over gets old very quickly. Slip on shoes are the way to go. If you don’t have your own private bathroom or have to share a shower, flip flops can double as shower shoes. *Bring change/cash. Many hospitals have vending machines and sometimes you can be desperate for a sweet or salty snack after a hard day. If you forget something, you can run down to a gift shop/mini convenience store that most hospitals have. I rarely carry cash or change with me anymore, so this is something I have to consciously think of to pack. *Bring your own snacks or easy foods to microwave if you will be staying for an extended period of time. Hospitals try, they really do, but the quality of food can leave a lot to be desired much of the time. I like to bring food that doesn’t need to be refrigerated and doesn’t involve much prep. Things like trail mix, bananas, apples, canned soup, and popcorn, are staples of mine. A lot of people like to bring microwavable meals too. Many hospitals will have a hospitality room where there is access to a refrigerator, coffee maker, microwave, and toaster. *Bring things to do. Books, devotionals, coloring books, crayons, small toys for children, a journal, pens, a laptop, etc. 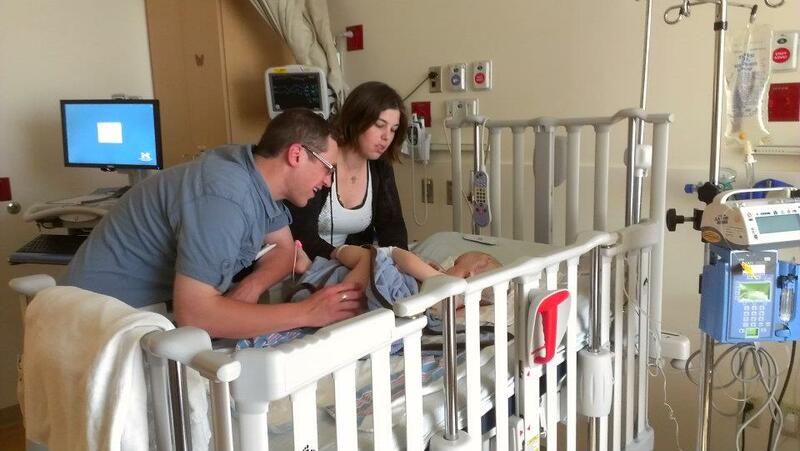 I have had days where I could do nothing else but stare at my son in a hospital bed as he slept and days where I was desperate for something to distract me from that place. *Bring comfortable clothes that you don’t care if they get wrecked or stained. Pajamas, yoga pants, t-shirts, capris, and your favorite lounging around clothes are all good. Things happen in the hospital. Medication gets thrown up, antibiotic cream gets smeared into your shirt, blood runs onto you, and so on. *Bring comforting things that remind you of home. Your favorite slippers, a framed photo, a small knickknack, your child’s favorite blanket, your iPod or MP3 player full of music, or really anything that can help you relax in a small way. But when bringing important items, keep in mind that things could get wrecked, broken, or even misplaced in a hospital stay. *Bring your own toiletries. Toothbrush, toothpaste, shampoo, conditioner, lotion, chapstick, etc. The air is generally pretty dry in a hospital, so good lotion and good chapstick are always a must for me. Bring you own tissues too so you don’t have to use that terrible sandpaper in a box that many hospitals lovingly offer. *Bring your medical information. I have a medical binder that has my son’s current tests, scans, and appointment summaries. I also keep a medical journal of all major medical events, hospitalizations, dates, Doctors, etc. This is especially important if you hospital jump like we do. My son sees specialists from 3 different hospitals that don’t communicate with each other, so it’s important we can give them that information. *Most importantly, bring your faith. 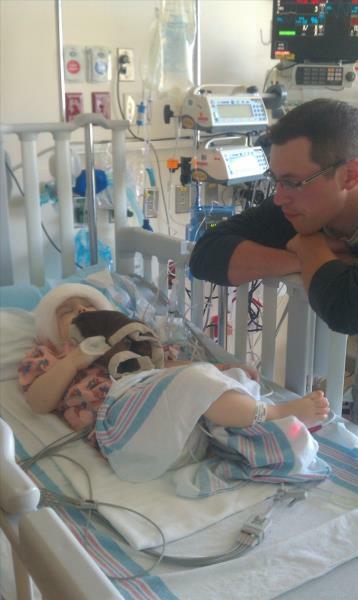 It’s hard to be in the hospital and watch a loved one suffer. It’s hard to not know what is going to happen and live on the edge. Hold onto your faith even when it’s hard. That is when you need God the most. Categories: Finding God, Medical drama | Tags: broken but priceless ministries | Permalink.